This is a continuation of Part-2 HERE, of our 4000-mile journey to 4-Corners that led us through Oregon, Idaho, Utah, New Mexico, Arizona, Colorado, Nebraska, Wyoming, South Dakota/Sturgis, Montana, Northern Idaho, Washington and then back to Oregon. Billings to Bear Tooth Pass – Yellowstone – Bozeman, MT – On this morning we said “Hasta la vista, baby” to one of the riders in our group who had to peel off and take a more direct route home to Oregon. 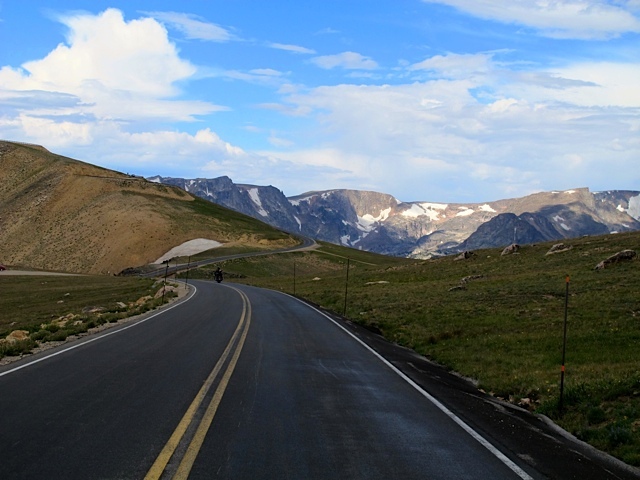 The rest of the posse was heading to Wyoming’s highest paved primary road…the Beartooth Scenic Byway. 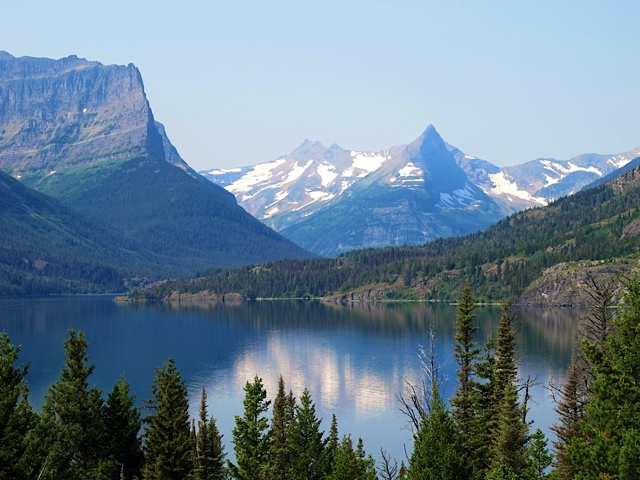 It’s on Highway 212 and runs about 70 miles south and then west from Red Lodge in Wyoming to Cooke City, in Montana. The online data states that the Beartooth Pass summit is at 10,947 feet although our GPS from the top was reading 10,957 feet. It didn’t matter because it felt like we were on the top of the world and could see 100’s of miles! It is an incredible road to ride a motorcycle on and although I’ve never been there, I believe it would compete with riding through the Swiss Alps for excitement. 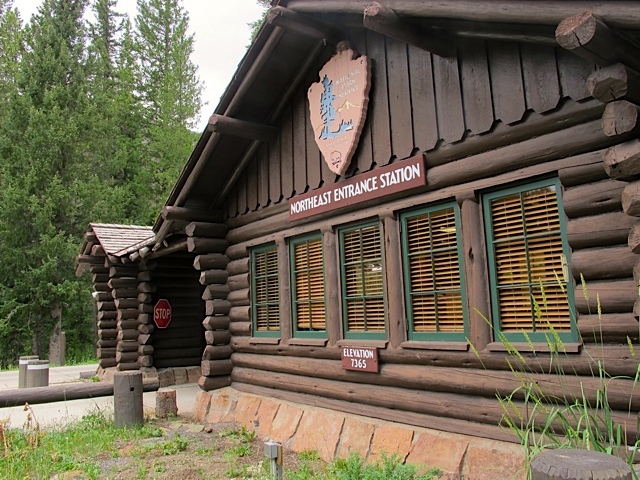 The road is essentially in two parts – the lower section that rises as you head south out of Red Lodge and the upper part at the higher elevations. The views on the way up are terrific and it is a difficult decision whether to continue riding or stop every ¼ mile and take pictures. We did some of both, including GoPro’s mounted on the helmets to video record parts of the trip. We met other riders along the road and they all had big smiles on their faces as if we had all found a long lost secret riding location. Some parts of the upper section of Beartooth Pass had gusty winds that were inconsistent from bend-to-bend that required our attention and it was much colder at the higher altitude. Nothing more than leather jackets, and the slopes were steep and the views were spectacular. On top there was snow in the shadow parts of the mountain. 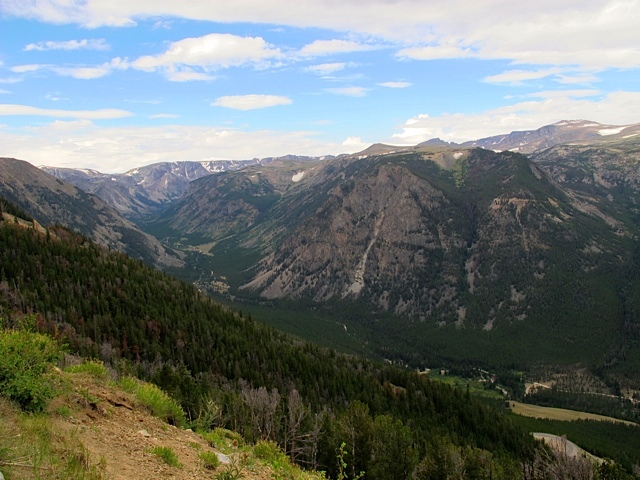 We made several photo stops on the way down as we headed toward the Northeast Entrance of Yellowstone Park. In the summer this is a dramatic entrance with a rich diversity of landscape compared to other entrances to the park. Traffic was very light and just after we entered the park at 7,365-feet altitude, we cut between the 10,928-foot Abiathar Peak and the 10,404-foot Barronette Peak. 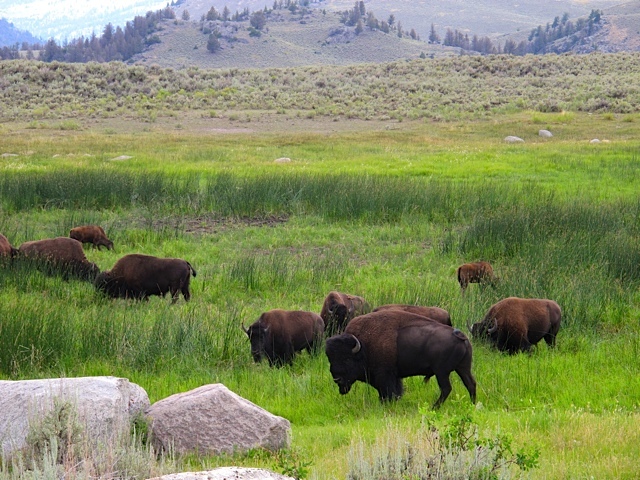 Lamar Valley is home to large amounts of Bison, some of which we met on the road meandering along without a care in the world. We exited the park at Gardiner where The Roosevelt Arch is located. 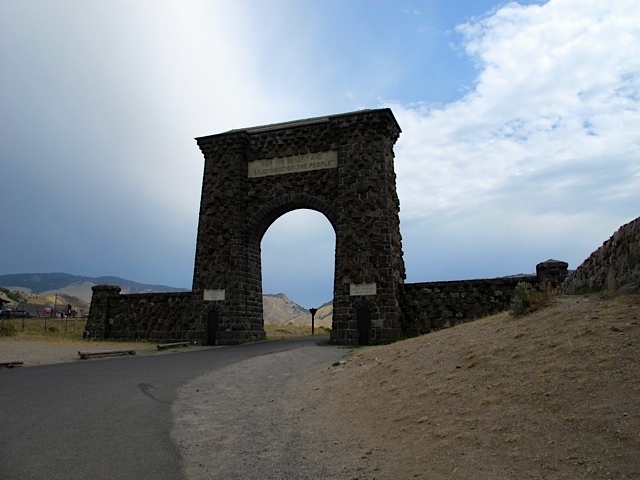 The top of the Roosevelt Arch is inscribed with “For the benefit and enjoyment of the people,” which is from the Organic Act of 1872, the enabling legislation for Yellowstone National Park. We continued on to Bozeman, MT., and overnighted at the rather nice Best Western Plus Grantree Inn. There was an upscale sports bar and restaurant in the hotel and we grab dinner there and chatted with some of the locals. 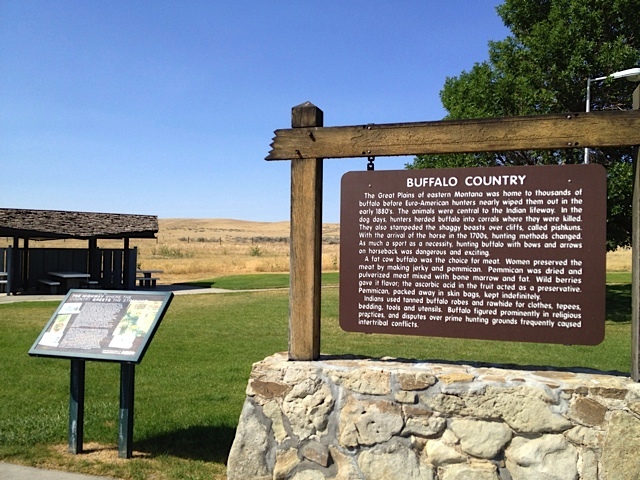 Bozeman to Shelby, MT – The next morning we fueled up early and motored north on US Route 86. It’s also referred to as the Bridger Range Scenic Drive. It’s about 40miles and intersects with Highway 89 north of the town of Wilsall. 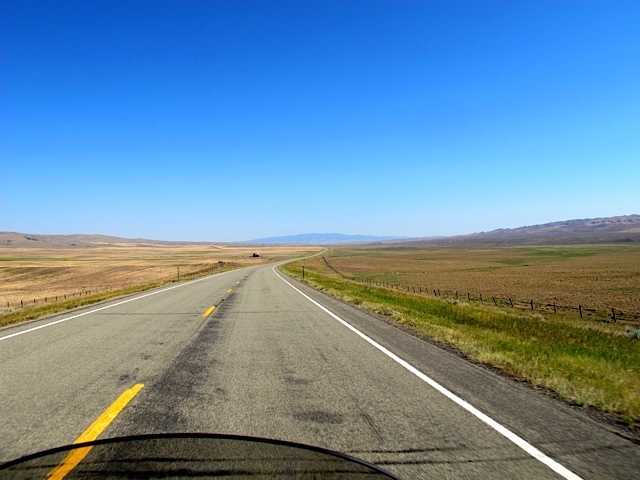 The road follows the eastern flank of the Bridger Mountains. Once the road enters the National Forest, the views are a bit more limited due to the thick forest, but there are still enough open areas to keep the drive interesting. The Bridger Bowl ski resort is about 20min from Bozeman. There are no services along the route, but what an incredible scenic road! If you ever get a chance ride this route do it. The road is a nicely paved and provides excellent views of the mountains which dominated the view to the west. We connected up with US Route 89 which is the “Backbone of the Rockies” and links seven National Parks across the Mountain West. We rode through the The Smith River Valley. Stopped for a late breakfast at the Branding Iron Café in White Sulphur Springs. Departing White Sulphur Springs meant we were on the Kings Hill Scenic Byway as it winds through the Little Belt Mountains. We passed through the Lewis and Clark National Forest and savored the rugged beauty. As the scenery turn flat there were gravel roads that crisscrossed US Route 89 all the way to Great Falls. It was hot with a lot of wind buffeting on this day and in Great Falls we stopped at Big Sky Harley-Davidson for a soda break and to look for a t-shirt. We departed and connected with I-15 north and headed toward Shelby. Several miles up I-15 we stopped at the Mountain View Co-Op in Brady for fuel. We ran into some old farmers there and spend a good deal of time chatting about various items from how loud the bikes were to the price of wheat. It was almost like a TV show! We arrived in Shelby and overnighted at the Comfort Inn. It was an interesting hotel with part of it being on Indian reservation and had gambling in the lobby, but the rooms in the new section had just opened and they had friendly service. We walked down the hill and ate dinner at the Ringside Ribs which was full of hungry truck drivers. 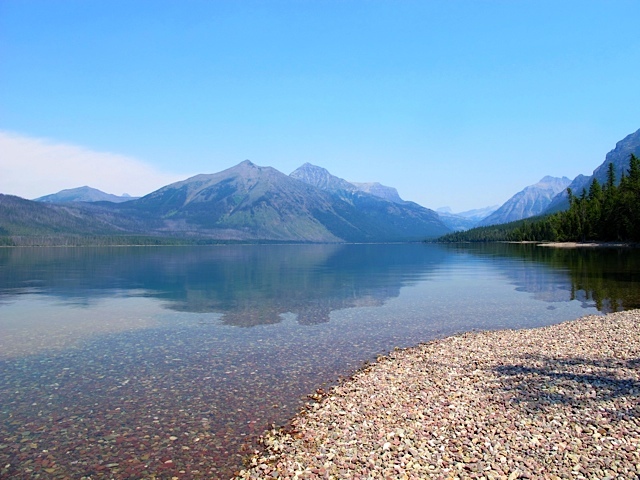 Shelby to Sandpoint, ID (via Going To The Sun Road and West Glacier) – We departed fairly early the next day and motored out on Highway 2 west bound. 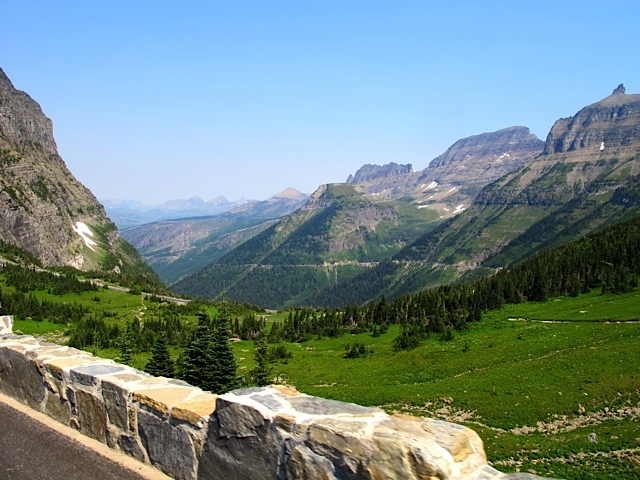 We were headed for the “Going To The Sun Road” at St. Mary and east entrance of Glacier National Park. We rode through Cut Bank then Browning and when refueling in St. Mary we took some time for refreshments. 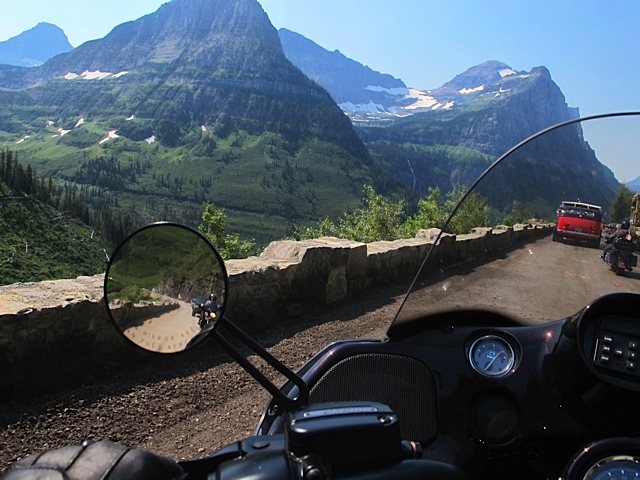 If you’ve never driven a motorcycle on the Going-to-the-Sun Road it’s clearly one of the top 10 national park experiences. There is significantly less traffic (shuttle buses and tourists) when traversing the park east to west and we didn’t have to contend with large crowds at any of the prime viewing pullouts. 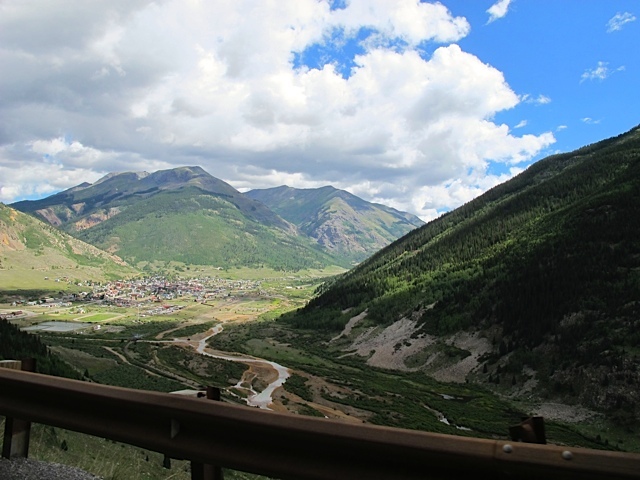 The road offers a visual assortment of moutain views that anyone will enjoy. It’s narrow in places, and in a constant state of repair due to the annual freeze-thaw cycle. We didn’t pull off at the Logan Pass visitor center. We’ve been down this road before and the visitor center crowds are not our gig. The view of the Clements Mountain and the southern tip of the Garden Wall were terrific. Many of the park visitors motor up the pass aboard a Red Jammer, one of Glacier’s renowned fire engine-red, open-air touring buses that debuted in 1937. Supposedly they gained their nickname for the way drivers “jammed” their way through the gears. We had GoPro camera’s running through much of our way down to West Glacier where it looks like time has stood still in this remote corner of Montana. The log buildings have changed very little since they were built in 1938. Any “inappropriate development” has been curtailed and the village has maintain its historic character. 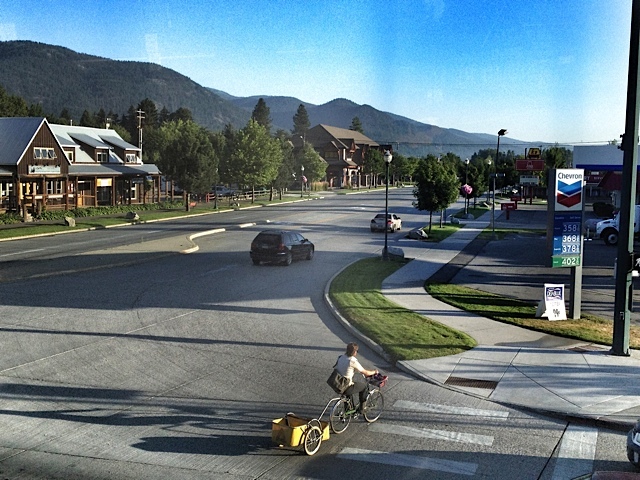 There was a quick break at the village and we were making good time so we continued on to Kalispell. 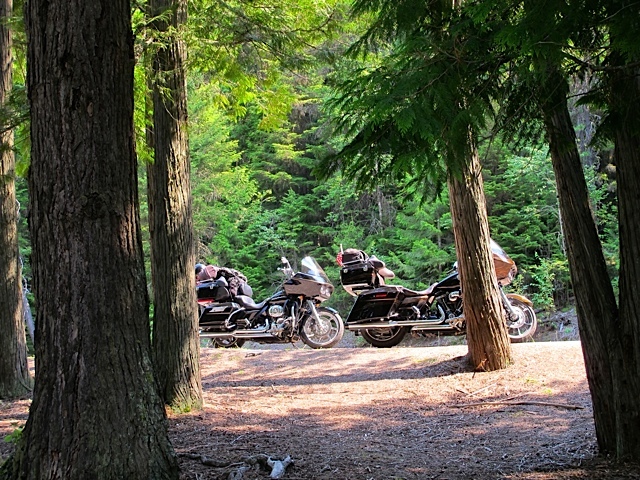 We motored on and thought about stopping in Libby, but continued on to Bonners Ferry then connected with Highway 95 south for Sandpoint, ID. We had left the plains-induced sweat running down our backs for cooler temperatures and it was nice riding. Although I have to admit that the cumulative riding over the previous 11 days had started to wear on me. We were heading toward home at this point so the time to pull off and take photos were few. We were really about getting through some miles. It had been a 345 mile day through some slow going, RV and tourist ridden roads, but we were in Sandpoint and checked into the La Quinta Inn before 6pm. We showered and had refreshments at Connie’s. We intended to eat at a Thai restaurant, but ran out of patience and instead had dinner at Connie’s. Sandpoint to Portland – The next morning we were again up and on the road before 7:30am because we had a 430+ mile day and the forecast was searing heat. We headed out of town and caught a glimpse of the city’s new downtown by-pass as we headed across the Sandpoint Long Bridge. 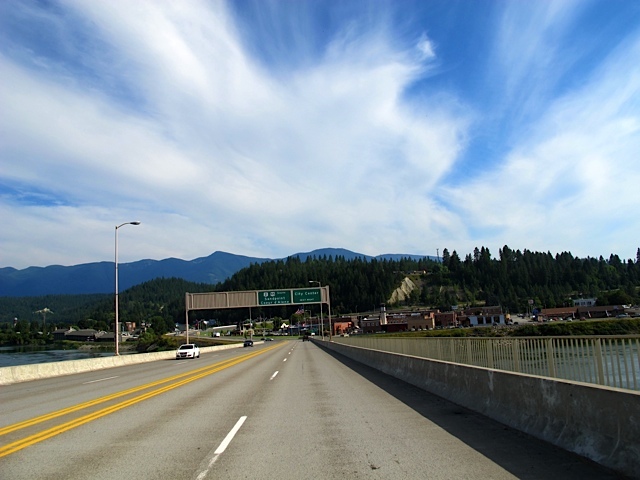 It was slow going on Highway 95 to Coeur d’Alene, but we pick up speed once we connected with I-90 and then Highway 395 through the Washington State farm land. We pulled into the Country Travel Plaza for a fuel and refreshment stop as the heat of the day wore on. We had a late lunch at C&D Drive In at Boardman and then rolled into Portland around 5pm. It’s not often that you get to ride for the pure enjoyment of the open road and the excitement of what’s around the next curve. We were on the road for 12-days, visited eleven states, made new friends, discovered a part of history and rumbled across 4000 miles of the U.S. There were smells, wind gusts, moisture hungry lowland desert, tall pines and scented blooms along with blazing sun, searing heat, rugged landscape and mountain peaks that reached up and touched the clouds. It was a most rewarding trip and riding the adventure with some classy motorcycle buddies was priceless! That was the 4-Corner’s ride in August 2012. It is now history forever saved on the internet! This is multi-part blog post. Part 1 – HERE and Part 2 – HERE. 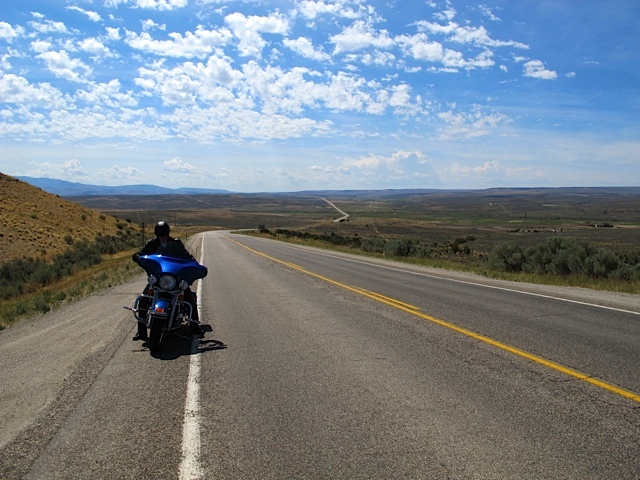 This is a continuation of Part-1 HERE, of our 4000-mile journey to 4-Corners that led us through Oregon, Idaho, Utah, New Mexico, Arizona, Colorado, Nebraska, Wyoming, South Dakota/Sturgis, Montana, Northern Idaho, Washington and then back to Oregon. 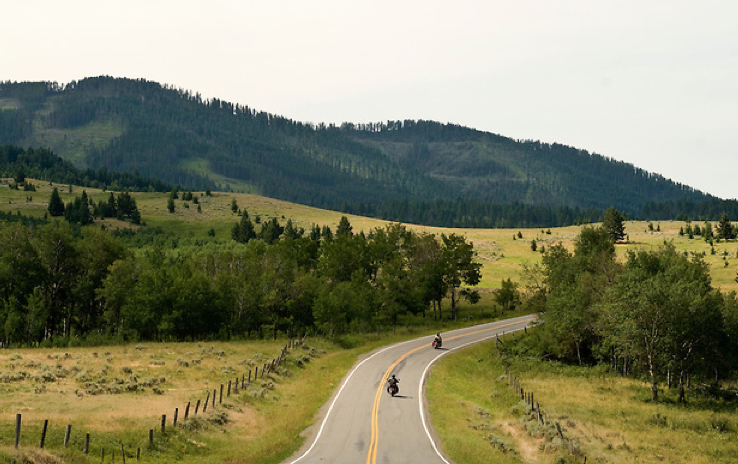 Cortez to Meeker, CO – When we plotted our original route to 4-Corners, I don’t think any of us imagined riding in such dry, scorching heat through unimaginably desolate terrain. It seemed like the buzzards were the only thing alive and they were circling patiently overhead for a couple days. As a result, we decided it was time to head north for some cooler weather. On this morning’s departure the buzzards had taken the day off. 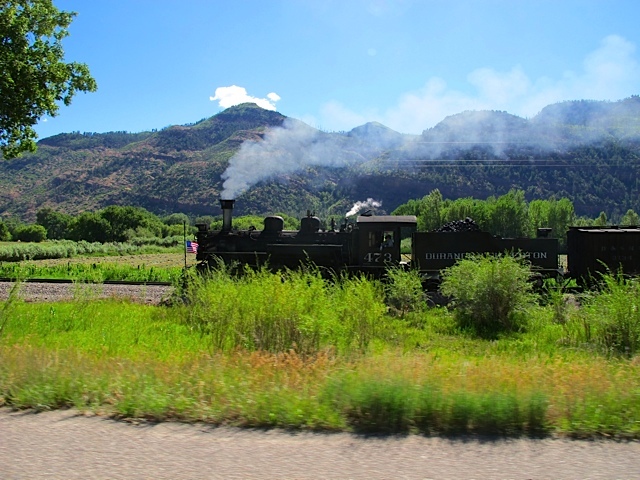 We headed east on Highway 160 toward historic Durango and the Silverton Narrow Gauge Railroad. We stopped at the Durango Harley-Davidson dealer and picked up a t-shirt and exchanged some information about where to ride with other motorcyclists. We then headed north on Highway 550 toward Silverton and then Highway 110, over what is also called the “Million Dollar Highway” toward the little the town of Ouray — “The Switzerland of America.” We allowed for plenty of time to ride this route as the winding roads go through mountains and we knew there would be stops for photos and time to enjoy the vistas, waterfalls, deserted mining towns. The GPS displayed 10,708 feet when we crossed over the summit and started to descend into Silverton. I’m not sure what the town is like in the winter with its 300+ inches of snow that falls each year. 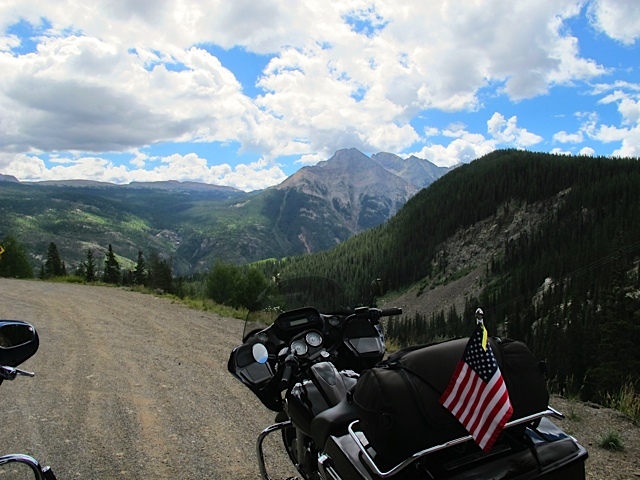 We stopped for fuel and a soda break then rolled onto the main part of the Million Dollar Highway – north from Silverton to Ouray. I’ve heard a couple different reasons about why it has its name. It is either because it cost a million dollars a mile to build, or because the fill they used to make up the road has traces of gold and silver contained within it. Whichever is true, it is still a great name for a road. The road itself is a terrific ride, but there are some parts where you have to pay close attention with steep drop-offs and no guard rails. In other places the road hugs the side of a steep slope of a mountain and in others, it has great bends which are ideal for motorcycling. Outside Ouray and the gully washer and hail were on the way! 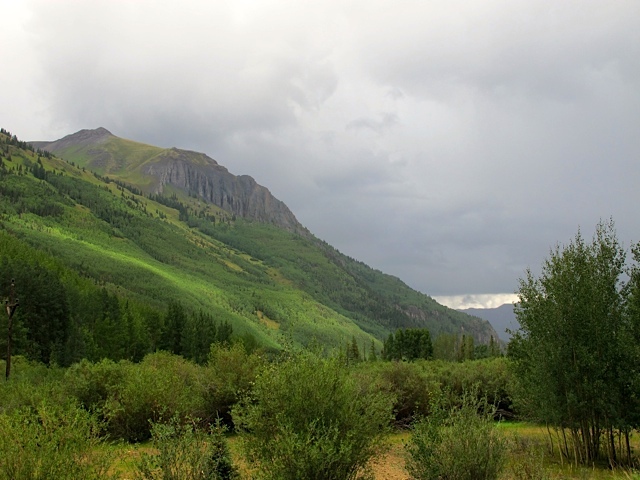 About 20 miles from Ouray after going around a mountain switch back the weather changed quickly. We could see dark clouds rolling up the mountain valley, the temperature dropped 15 degrees and it started to spit some moisture. We pulled over and hunted for rain gear which somehow had relocated to a deeper part of the hard bags in the days of searing heat. It was a good call, because in less than 15 mins there came lightening and a gully washer. As we rolled through Ouray it was hailing BB sized hail and the road was literally flowing with a mud/water mix. We could see blue sky and kept rolling through the weather. By the time we arrive in Ridgeway it stopped. In Meeker, CO. washing the dried mud off the bikes. We finally arrived in Meeker and overnighted at the Elk Mountain Inn. We ate a Mexican dinner at Ma Famiglia which was an extremely satisfying meal with great service. 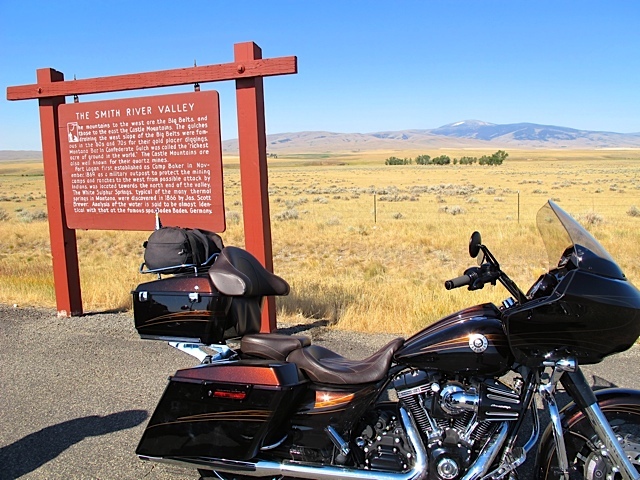 We discussed riding to Sturgis since we were headed north and needed to start thinking about our return route. The next morning coffee was on early and the hosts were very pleasant. 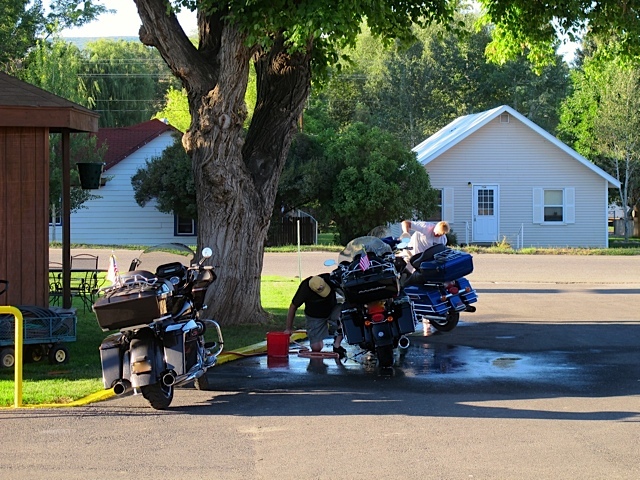 We wanted to clean the motorcycles after riding in the mud flow outside Ouray the previous day and they offered us a hose, buckets and cleaning soap. 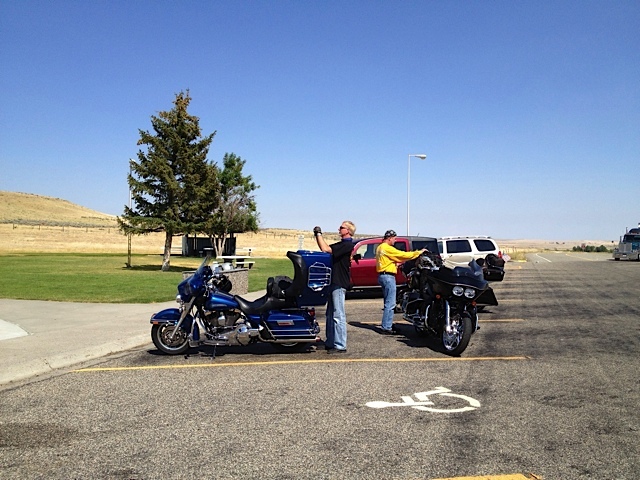 Meeker to Torrington, WY – We were up early to clean the mud residue off the motorcycles. Afterward we rolled north toward Craig on Highway 13/789. Once we passed into Wyoming we headed east on Highway 70 where it passes over the Continental Divide and then descending onto the junction for Highway 230 north. 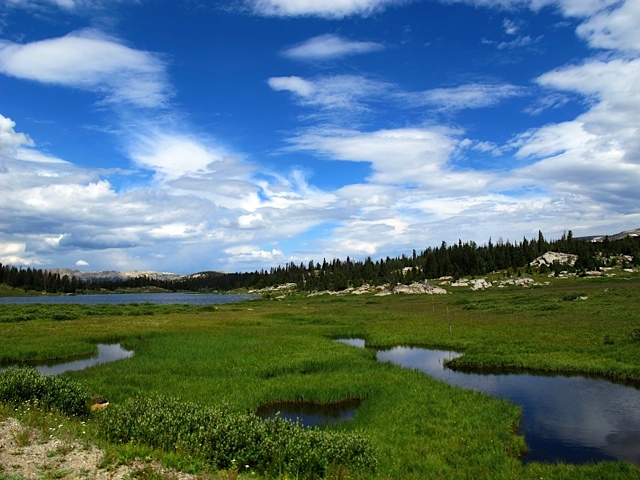 We picked up Highway 130 east and rode by Lake Marie and Mirror Lake while crossing through the Medicine Bow National Forest. 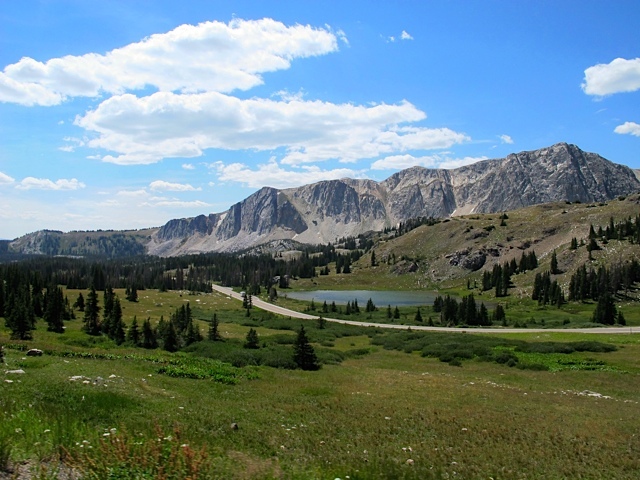 Highway 130 – Medicine Bow National Forest. In Centennial we stopped for fuel at the Trading Post and then continued east on Highway 130. At Laramie we got on I-80 east and headed toward Cheyenne. It was a quick trip to Cheyenne and then we headed north on I-25 and then at Exit 17 is where US Highway 85 (Torrington Road) branches off to the northeast. We arrived in Torrington fairly late in the day and tried a couple of motels which were full of bikers before ending up at the Motel 6. It was the only place with vacancy and that should have been a red flag. It was being renovated or had closed and then sort of reopened, but didn’t know what it was going to be in final form? All the signs were removed from the building and significant remodeling was stalled. We were fortunate to have A/C and a bed/shower, but I can honestly say don’t stay at this place until they get it finished. We ate dinner at Deacons Restaurant and the hearty steak meal helped offset the strange motel situation. Torrington to Rapid City, SD – On this morning we got up early and traveled the 8+ miles for a photo op on the Nebraska state line. 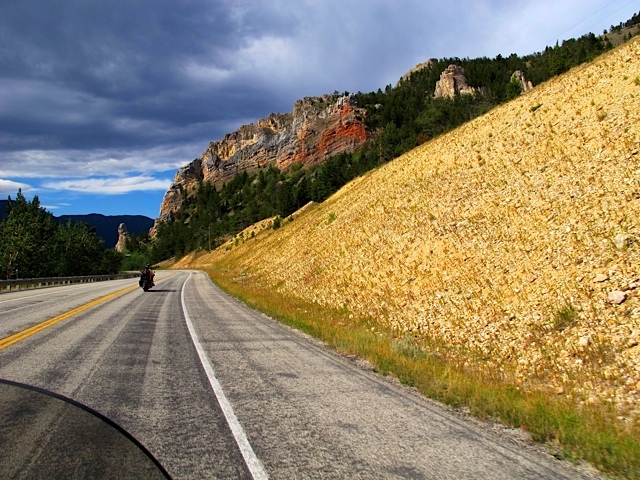 We did a U-turn and headed back onto the route that is known as the “Traditional” way for riders to get from northern Colorado to Sturgis. We started to notice a lot more motorcyclist as if the NO vacancy signs weren’t a clue the night before. On Highway 18 going to Custer, SD. We continued on Highway 85 north and headed to the town of Lusk. Lusk was full of Bikers, and coincidently was having a big parade. We had planned to get fuel there, there was a long wait at the gas station and one of the law enforcement officers who had traffic block mentioned that we should just head to the next town. This stretch of road is heavily patrolled, but despite that we witnessed a number of bikers running near 90mph, though I don’t recommend it. In fact, we came up on the first accident of the trip on this road. It looked like an overloaded motorcycle dumped their load and skidded off into the ditch. If anyone had been hurt they were already gone by the time we rolled past as the tow vehicle was picking up the motorcycle. About halfway between Lusk and Newcastle is Mule Creek Junction with a nice rest area and it’s possible to head east on Highway 18 from there into Custer, SD which is what we did. 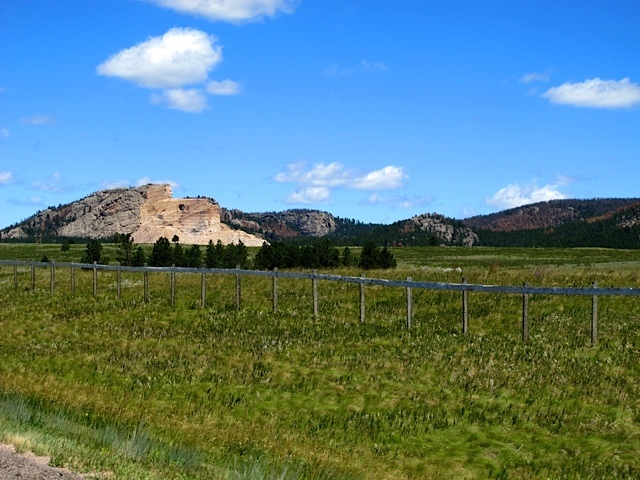 We rolled through Custer and past the Crazy Horse Mountain Monument and stopped in Rapid City. 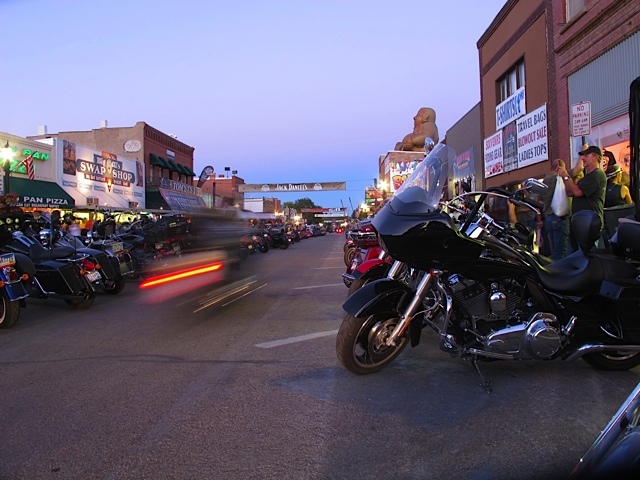 We paid double the going rate for a room at the Best Western Ramkota Hotel and spent the remainder of the day and evening enjoying the typical Sturgis activity. 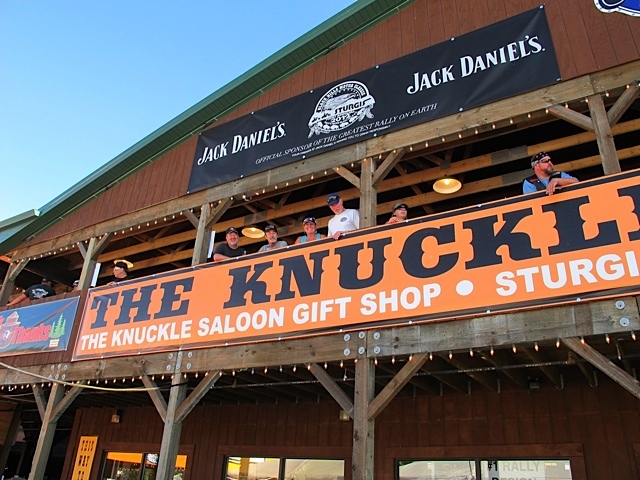 We were only in town for 24 hours, but managed to hit The Knuckle Saloon for refreshments, One-Eyed Jacks Saloon for dinner, and see plenty of billboards, souvenirs, belt buckles, t-shirts, music and people watching on Main Street well into the evening. Rapid City to Billings, MT – The next morning was another early rise. It was a beautiful sun-drenched morning. There was a quick sausage biscuit (yeah, we eat well on the road!) at Burger King and it was on the road again. 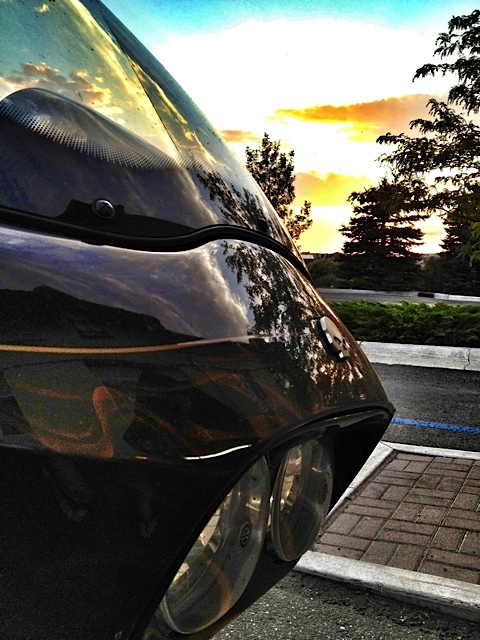 It was going to be an “Interstate Day” – all the miles would be on the freeway. We motored west on I-90 toward Sundance then Gillette and Sheridan. As the miles clicked by I gazed out over the landscape, it was not hard to imagine the challenges faced by those who struggled to forge a living from this land 150 years ago. It says something about the human spirit that they even tried. When you’re rolling along on the freeway you soon learn to really hate semi-trucks and RVs. These behemoth’s create their own wind patterns and take no issue with trying to out run motorcycles cruising above the speed limit! Much of this route is prairie with long stretches of straight road. Just outside Hardin we rolled past the Little Big Horn Battlefield National Monument at the Highway 212 junction. 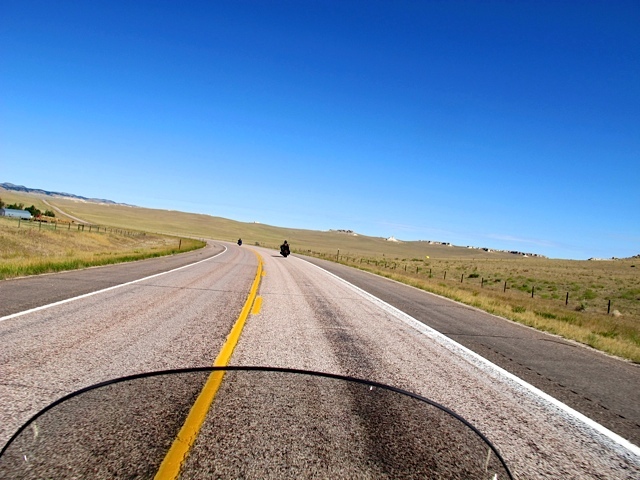 We’ve ridden Hwy 212 a couple of times when returning from Sturgis, but this time we needed to make up some miles. Rest stop in route to Billings, MT. Passing by Little Big Horn I remember seeing the 135th anniversary signs of the battle. It was late 1875, Sioux and Cheyenne Indians left their reservations, outraged over the continued intrusions of “whites” into their sacred lands in the Black Hills. They gathered in Montana with Sitting Bull to fight for their lands. The following spring, two victories over the US Calvary emboldened them to fight on in the summer of 1876 – the Battle of Little Big Horn. A couple years ago I blogged about the Guidon, an artifact found/auctioned off from that battle. It had been another hot day and we arrived in Billings at the Holiday Inn Express on the edge of town. 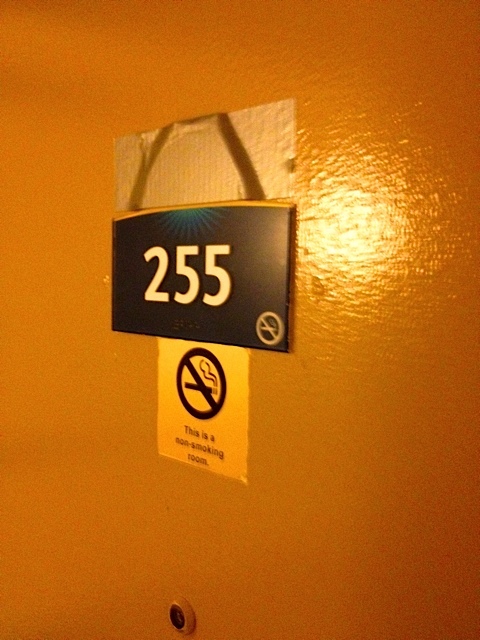 It was a new hotel and had all the amenities. We headed to the pool and then I remember having dinner at a Subway shop up the road followed by some DQ ice cream. 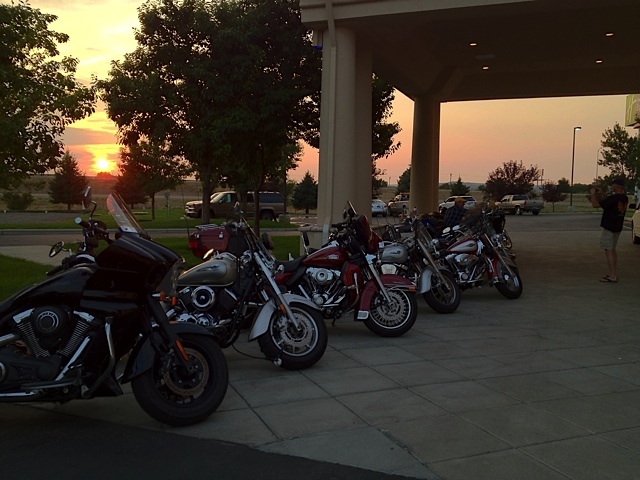 There were a number of bikers returning from Sturgis who overnighted at the hotel and we made some new friends. This is a multi-part blog post. Part -1 HERE and Part – 3 HERE.